Fair. Fast Dispatch. Expedited UK Delivery Available. Excellent Customer Service. Dust jacket torn. Very Good. 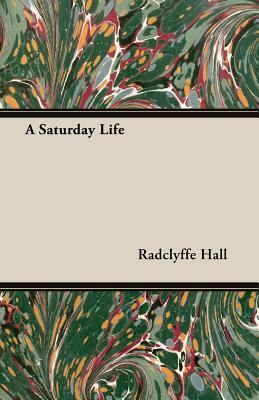 Saturday Life (VMC) by Hall, Radclyffe, 1987-10-05. 238 p. Virago Modern Classics . Good. Saturday Life (VMC) by Hall, Radclyffe, 1987-10-05. 238 p. Virago Modern Classics . Good Condition in Fair jacket. Good/Fair 1st edition 1952 Falcon Press hardback, price-clipped DJ-3 inch tear along top front edge of DJ with 3 inch piece at top of DJ spine missing, edge-wear and chips to DJ with a little loss to base of DJ spine, pages spotted at edges else good tidy reading copy, unusual in dust-jacket. More by this author available Sent Airmail at no extra cost; Worldwide Shipping IMMEDIATE 1ST CLASS/AIRMAIL DISPATCH Quantity Available: 1. Shipped Weight: Under 1 kilogram. Category: Fiction; Pictures of this item not already displayed here available upon request. Inventory No: 055246. 1952. The Falcon Press. Hardback. First. Very Good. Ex Library. Spine Faded.